Ryan Judd, a music therapist with a master's degree in psychology, has developed these modern lullabies to help bring you and your little one into a deep, restful sleep. These instrumental guitar compositions are based on research that shows the positive effects of music on sleep. The music creates the rhythm of a resting heartbeat which can help you both relax, fall asleep and sleep soundly. • Lullabies composed by a certified music therapist and played at the rhythm of the resting heart rate. Listeners of all ages will be soothed and calmed by these seven richly gentle instrumental, acoustic guitar masterpieces layered with sounds of ocean waves. 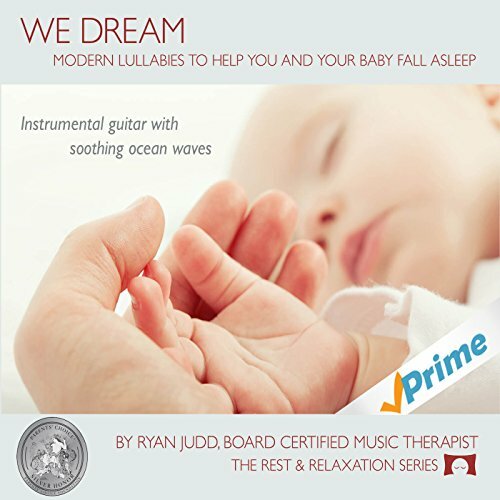 Ryan Judd, a board-certified music therapist, with a master's degree in psychology, composed and performs these peaceful lullabies to help ease babies, children and adults into deep, restful sleep. More than one of our reviewers can attest to this lovely CD's success. If you love gentle, relaxing music or are looking for the perfect baby shower gift - order this CD right away. Can't wait for your CD to arrive Download it now!